Imagine trying to measure water in a beaker or in a measuring cup; it is stagnant and easy to follow the line of meniscus to see if it’s a ½ cup or 3/4. Then imagine measuring water in a river in order to build safer bridges; it tumbles over rocks, it changes speed, it experiences different water levels throughout a season. Believe it or not, water movement is one of the most difficult phenomenon to solve. Yes, you can apply mathematics or numerical methods to solve complicated differential equations, but there are always some unknowns about turbulent flows (class 4 rapids) where general assumptions are made. 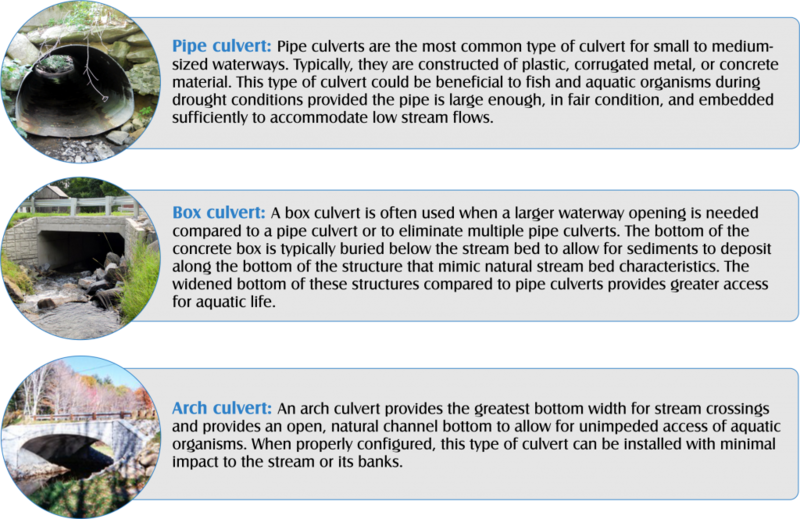 Rivers require intricate numerical models for river-type engineering problems, and I have been accepted to present on these intricate models at this years biennial National Hydraulic Engineering Conference (NHEC) in Columbus, Ohio. The Conference spans a week from 8/27 to 8/31, and I will be presenting on Friday, August 31st. Per the NHEC website (https://www.ohio.edu/engineering/nhec/), the conference is themed “Advancing Hydraulic Engineering through Innovation and Resilient Design,” and will address the challenges that transportation agencies face to construct, maintain, sustain, and improve hydraulic structures in the physical, natural, social, and economic environments of today and tomorrow. At this conference, I will be presenting on Two-Dimensional (2D) Hydraulic Modeling with Tidal Boundary Conditions. Modelers typically use computer software packages where you input topography, flows, roughness parameters, and hydraulic structures. The software package uses the input to solve mathematical equations. It seems simple enough, but a modeler needs to have a conceptual understanding of numerical methods and know the limitations of the software package being used. Whenever you hear the term “3D,” you think of an object in a space that has 3-dimensions, right? Similarly, water moves within a 3-dimensional space, where there is a z-component (up, down), y-component (left, right), and x-component (back, forth). What if I were to tell you that the movement of water in the z-direction (up, down) is not considered? What would that mean? Well, what that means is that mathematically, we are simplifying a very complicated problem: we are restricting movement of water to flow/move in 2D, 2-directions (x and y) and that is what 2D hydraulics is all about. Similarly, a one-dimensional (1D) hydraulic model is defined when the y-direction is neglected and water is confined to moving in the x-direction. 2D hydraulic modeling is not that new and has been available in an academia setting since the 80s. But in recent years, tools to develop 2D models have been readily available to engineers. A 2D model can’t be developed for every problem that we tackle, but it allows us to accurately represent actual real world conditions, make less assumptions and judgment calls, and communicate and show visualizations of flow movement to stake holders. Preventative maintenance is defined as scheduled work at regular intervals with the goal to preserve the present condition and prevent future deficiencies. 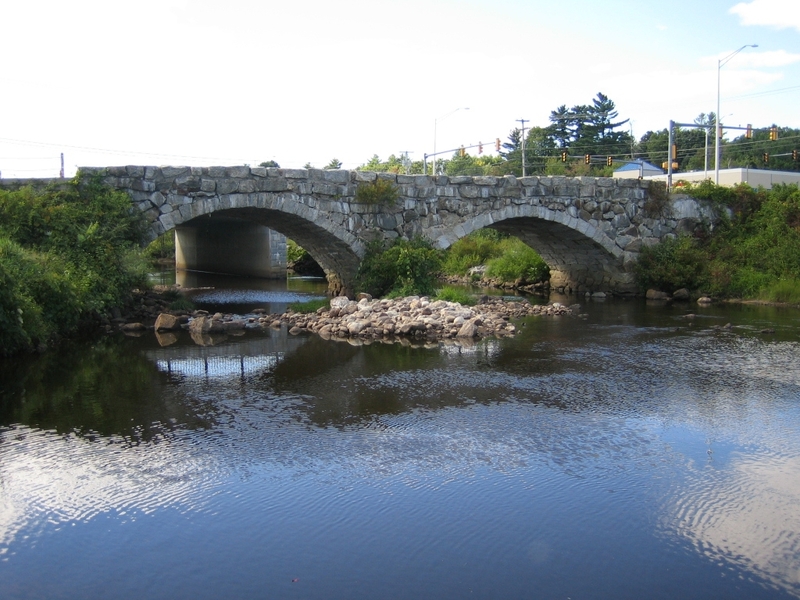 On bridge structures, this work is typically performed on structures rated in ‘fair’ or better condition with significant service life remaining. Minor repairs may be necessary to maintain the integrity of the structure and prevent major rehabilitation. Structures that are not maintained are more likely to deteriorate at a faster rate and require costlier treatments sooner than maintained structures; therefore, it is more cost effective to maintain structures to avoid replacement or major rehabilitation needs. 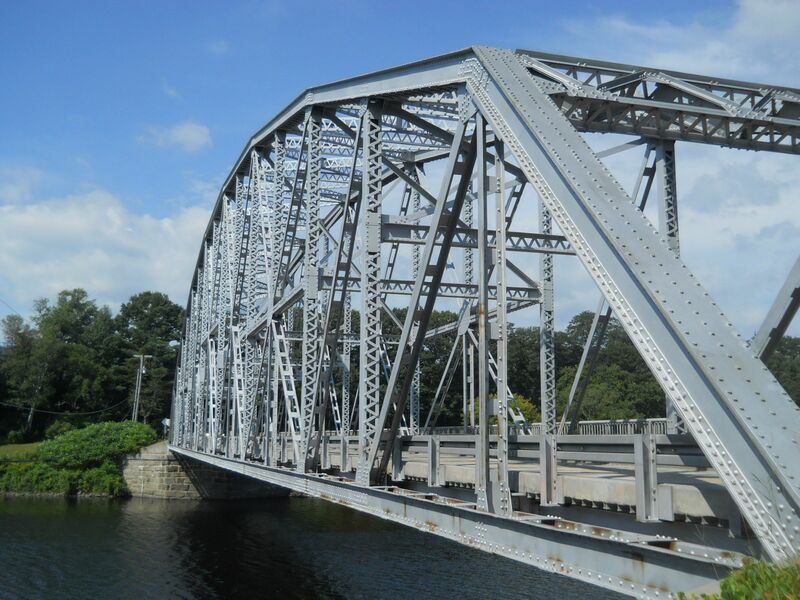 New England’s weather causes extreme conditions for steel bridge trusses, such as flooding, ice and snow. Corrosive de-icing agents are used in the winter, which can accelerate deterioration of exposed bridge elements. Preventative maintenance is critical for steel truss bridges to reach their intended design service life and, therefore, attain the lowest life-cycle cost of the bridge investment. Presented are minimum recommended guidelines for preventative maintenance of steel truss bridges. General: Remove brush and vegetation around structure. Annually. Bridge Deck & Sidewalks: Sweep clean sand and other debris. Power wash with water to remove salt residue. Annually. Wearing Surface: Check for excessive cracking and deterioration. Annually. Expansion Joint: Power wash with water to remove debris, sand and salt residue. Annually. Bolted Connections: Inspect for excessive corrosion or cracking of the steel fasteners. Check for any loose or missing bolts. Annually. Welded Connections: Check for cracking in the welds. Annually. Truss Members: Power wash with water to remove sand, salt and debris, particularly along the bottom chord. Give specific attention to debris accumulation within partially enclosed locations such as truss panel point connections or tubular members. Annually. Bridge Seats: Clean around bearings by flushing with water or air blast cleaning. Annually. NBIS Inspection: Complete inspection of all components of the steel truss bridge. Every 2 years unless on Red List. Painted Steel: Scrape or wire brush clean, prime and paint isolated areas of rusted steel. Every 2 to 4 years. Steel Members: Check for rust, other deterioration or distortion around rivets and bolts, and elements that come in contact with the bridge deck which may be susceptible to corrosion from roadway moisture and de-icing agents. Every 3 to 5 years. Bearings: Remove debris that may cause the bearings to lock and become incapable of movement. Check anchor bolts for damage and determine if they are secure. Every 3 to 5 years. Exposed Concrete Surfaces: Apply silane/siloxane sealers after cleaning and drying concrete surfaces. Every 4 years. Bridge & Approach Rail: Inspect for damage, loose or missing bolts, sharp edges or protrusions. Every 5 years. Do not bolt or weld to the structural steel members. Do not remove any portion of the structure. CAUTION! Paint may contain lead. Additional resources can be found through the New Hampshire Division of Historical Resources website.